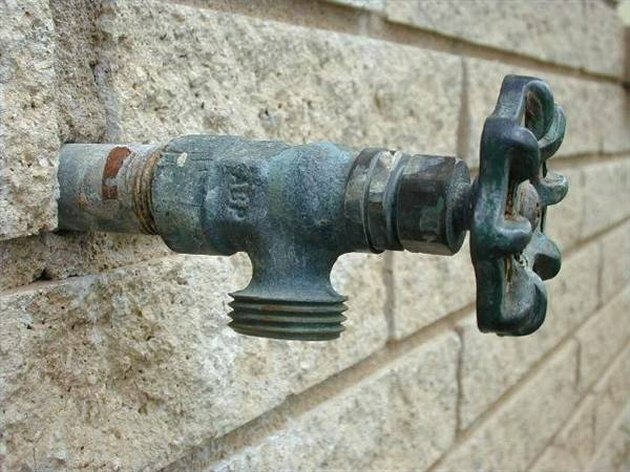 Before you begin to install a water faucet on the exterior of your house, you must determine several things. The first is what type of faucet you would like to install. 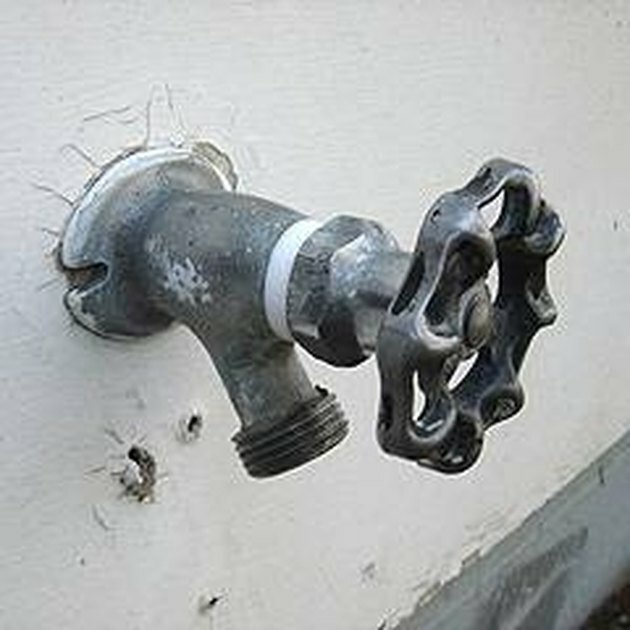 In areas that experience severely cold temperatures for part of the year, a frost-free outdoor faucet (also called a sillcock) is a good choice. Next, you will need to determine where you would like the faucet to be. Consider where you are in most need of an outdoor water supply when you are working in the garden, watering plants, washing cars or washing up after yard work. You will need to determine the location of the water pipes in your home, depending on where you would like to install the faucet. You can usually see these in the basement or crawlspace of your home. Find a cold water pipe (a hot water pipe as well, if desired) near where you'd like the faucet to be located, and mark where you will require extra piping to install the faucet in the desired location. Make sure that the location you've chosen on the outside of the house corresponds with this indoor point. Turn off the house's main water valve, and turn on any faucets in the house near the location you will be installing the faucet; wait until they are drained of water. Use a 1-inch spade bit to drill a hole in the wall at your chosen location. Put silicone caulk around the new hole, and put the new faucet in place. Press it firmly in, and turn the faucet handle until it is completely in the "on" position. Inside the house, install a T fitting at the location in the pipe that you previously marked. If your pipes are made of polyvinyl chloride (PVC), you can make the cut with a simple hacksaw, then use plumbing compound to attach the T fitting. Next, use pipes to attach a shut-off valve between the T fitting and the indoor end of the faucet, wrapping the ends of the pipes in plumbing tape. Turn the water main back on. 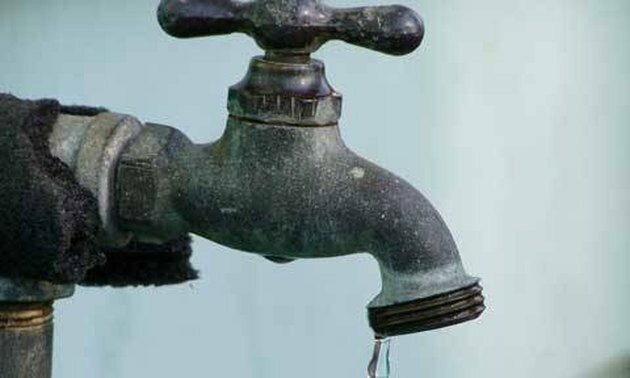 Make sure that water flows out of the faucet outdoors. Then, turn the outdoor faucet off, and inspect the plumbing within the house. 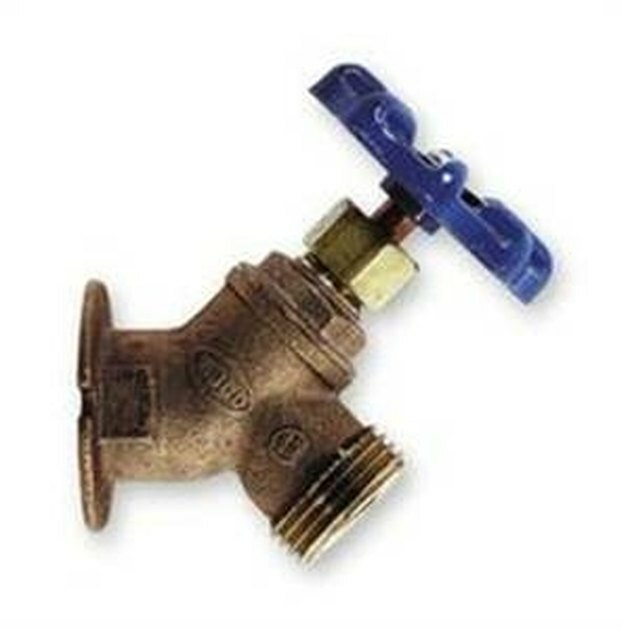 If it is leaking, you will need to apply more plumbing tape or plumbing compound. Retest to make sure that leaking will not be a problem.